Davis, Danet, King and Georgiadis (l-r): will run Blue 449. LONDON — Publicis Groupe is launching a global media agency network called Blue 449, led by a restructured and rebranded Walker Media in the UK. From today, Walker Media will take on the name and brand identity of Blue 449, and will be the founding office and driving force behind the network. Blue 449 will be part of ZenithOptimedia Group, and the ambition is for the network to have a presence in 17 cities by the end of 2015. The name Blue 449 references the color wavelength between the "purple" brand of Walker Media and "blue" of ZenithOptimedia. 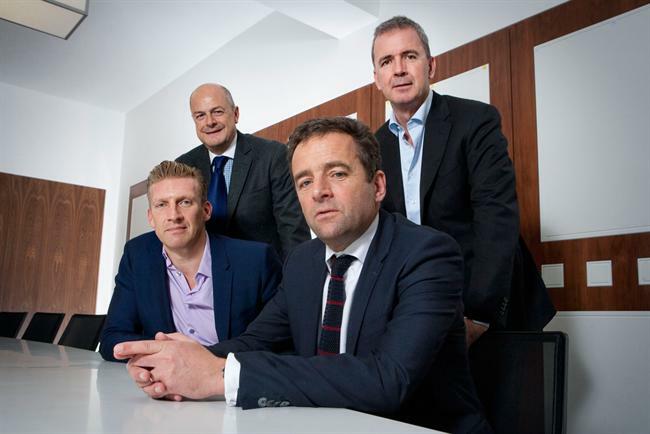 Blue 449 will be led by a team comprising staff from both Walker Media and ZenithOptimedia Group. Walker Media’s chairman, Phil Georgiadis, and chief executive, Simon Davis, will continue in their roles at Blue 449 in the UK. The network will be run by Sébastien Danet, the president of ZenithOptimedia France and chair of VivaKi France. Blue 449’s global hubs will be formed by startups — drawing on ZenithOptimedia personnel — and acquisitions. The new network is positioning itself around the innovation and collaboration of today’s digital media environment, through the philosophy of "open source." The core principle is that the source code of software programs can be made widely available for adaptation, modification and development. It is an approach described as "decentralized and people-focused." Steve King, the worldwide chief executive of ZenithOptimedia Group, said: "Blue 449 is a realisation of visionary attitudes and thinking set to disrupt the market." All existing Walker Media clients will move to Blue 449. Read more details and thoughts from Blue 449's UK leaders here.